Hi there everyone! I've got a card for you today using the add on set available for this month's Creative Cafe' KOTM: Little Cupcake. With a little fussy cutting, a little paper piecing, a little glitz and glitter I've whipped up this yummy card! Base: 5&1/2" by 4&1/4" navy cardstock. First Layer: Cut a 1&1/2" by 5&1/2" piece of horizontal stripe paper, and stamp sentiment in upper left corner using Versamark Ink. Emboss using The Rubber Cafe' Diva Pink embossing powder. 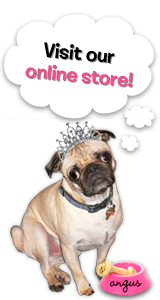 Mat this strip onto a 1&3/4" by 5&1/2" piece of pink pearl cardstock. Then mat this piece onto a 2" by 5&1/2" piece of kraft cardstock. Wrap with navy jute string, and glue to the card front using Scrap Happy Glue. 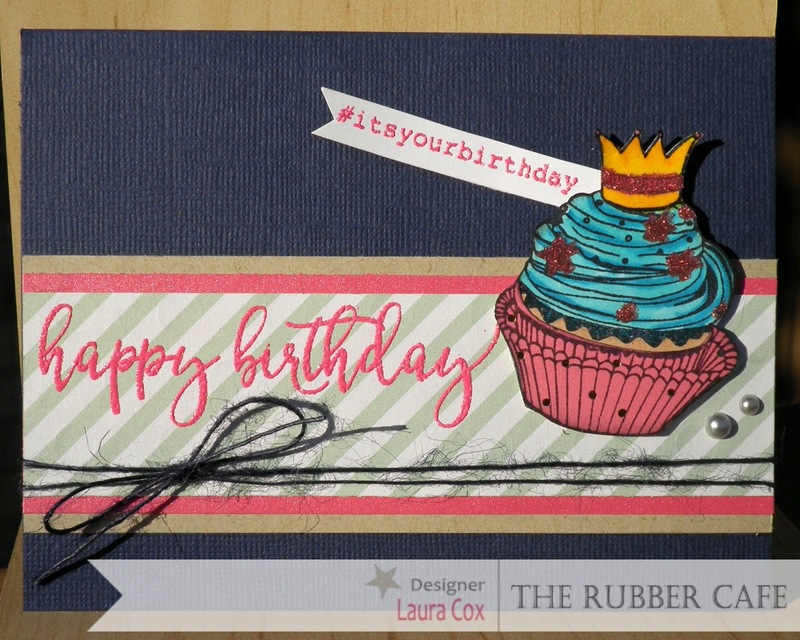 Stamp the cupcake on white cardstock using Black Tuxedo Memento Ink, and color with markers. Use glaze pen over the crown, avoid the center band. After a minute of dry time, use Scrap Happy Glue to cover the stars and the crown band. Let dry, then apply You're So Fine Glitter. Fussy cut out cupcake. Stamp the cupcake onto the pink/gold dot paper and just cut out the wrapper portion. Then paper piece this onto the cupcake you colored and glittered using Scrap Happy Glue. Foam tape the cupcake to the card front. 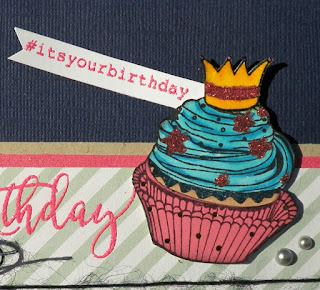 Stamp and emboss # sentiment on white cardstock, trim to a banner, then add to the card. Add a couple of pearls. You have one simple, but sweet card! Thanks for stoppin' by today and sharing this sweet treat! Stop back soon!